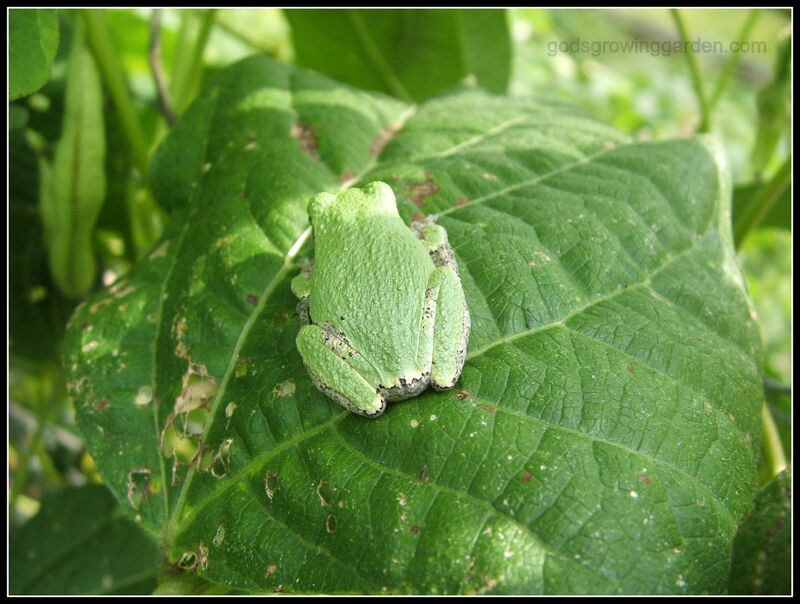 This little guy has been hanging around in my green bean patch, so to me his species is the "Green Bean Green Frog". 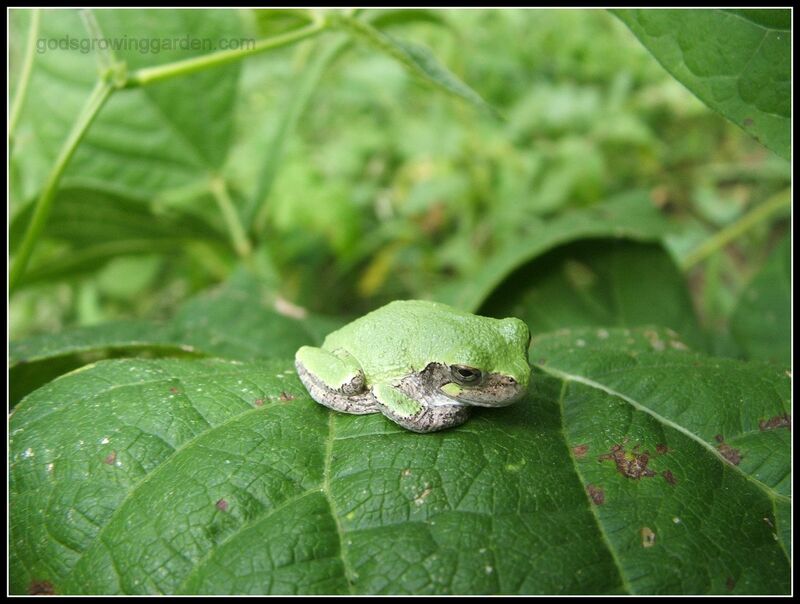 Actually, he is probably a "Gray Treefrog - Hyla versicolor or H. chrysoscelis" (I looked that up - I'm not an expert). He was only the size of my thumb. 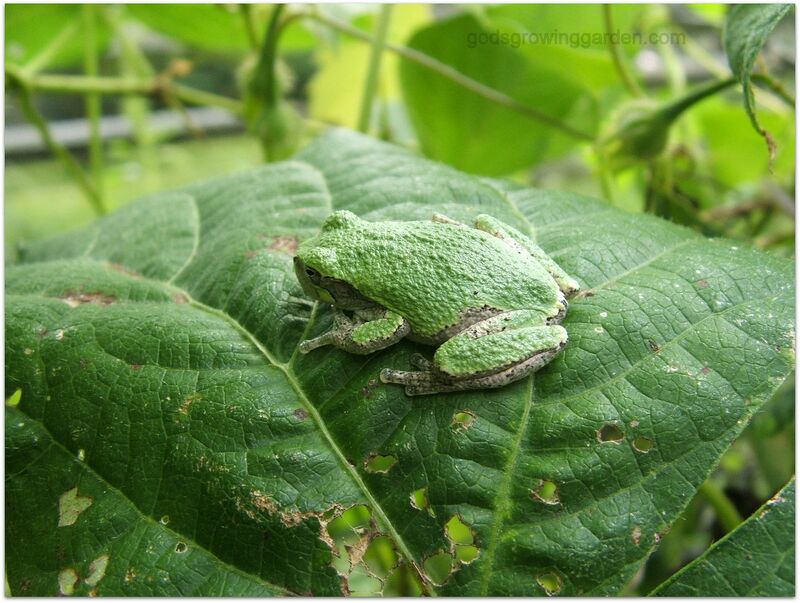 You might be wondering: "Are frogs good for the garden"? - YES!! 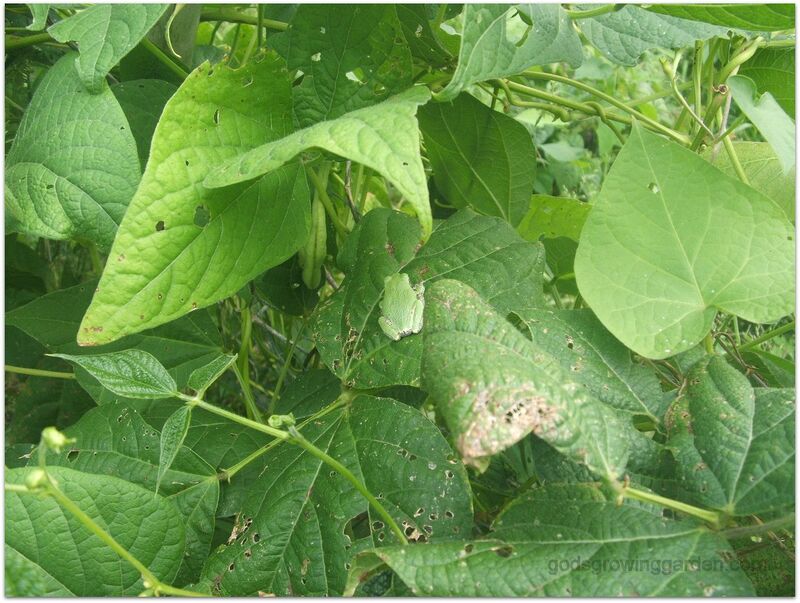 They help keep the garden free from pests because they eat bugs. 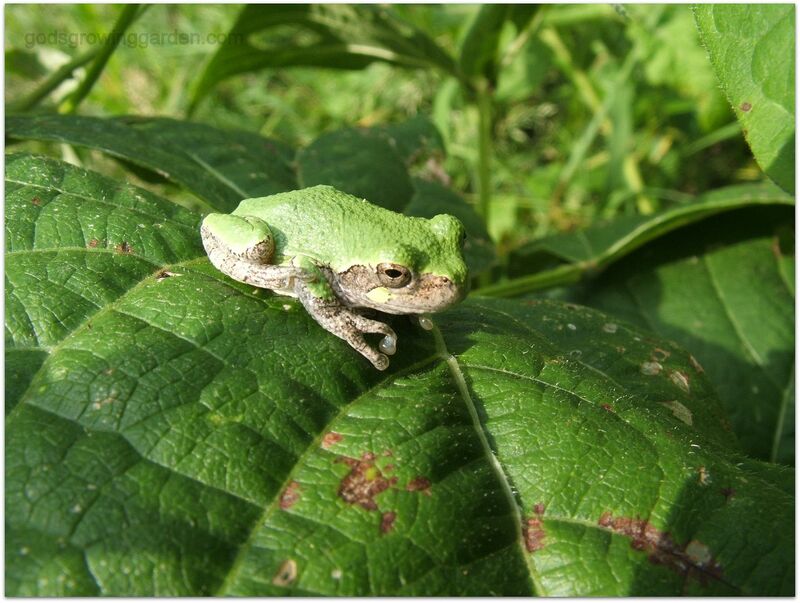 The only down side is that frogs eat many bugs including some of the more beneficial bugs, however they are still an asset to any garden. Oh, what a cute little guy! Thanks for sharing at Thursday Favorite Things and have a great day! What a cool frog! He looks like he was painted green and the green is chipping away at the edges. So neat! Isn't it always a pleasant surprise to find those little creatures?